Pop in some change and catch a soda can. That's so yesterday. Now innovation has produced vending machines that spin cotton candy, "gift" a soda to a friend miles away and make Ramen Noodles in three minutes. 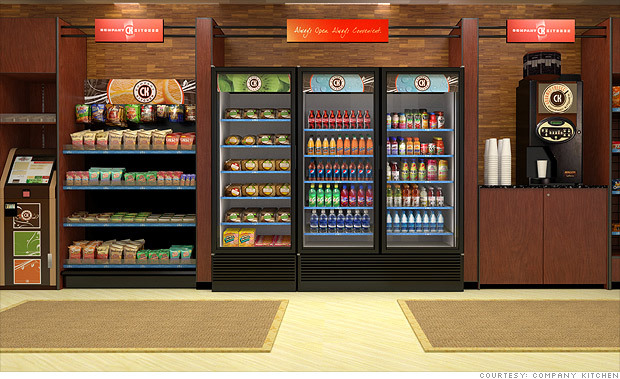 Hip, cool and amazing aren't words people often use to describe vending machines. But that may be changing soon. The National Automatic Merchandising Association is currently on the road, showcasing its latest and greatest vending machine innovations. Indeed. Bitter coffee, stale candy and cigarettes are out. Meanwhile machines that spin cotton candy, make fresh pizza and let users "gift" a soda to a friend to, are in. It was time for an overhaul, said John Healy, spokesman for the association, adding that the $40 billion industry took a hit during the recession. "The idea behind the road tour is to showcase these new concepts and also attract the attention of younger consumers who are our ideal consumers," said Healy. "We have to remind them why we are so convenient for them, both as a quick shopping option and possibly also as an industry they would want to work in." Following are eight newfangled machines, which are either in the United States or probably on their way. If people are tightening their purse strings, these 10 businesses wouldn't know. Their bestsellers have jaw-dropping price tags and plenty of buyers.